Sadie & Josie, originally uploaded by candace.sword. Two princesses indeed. 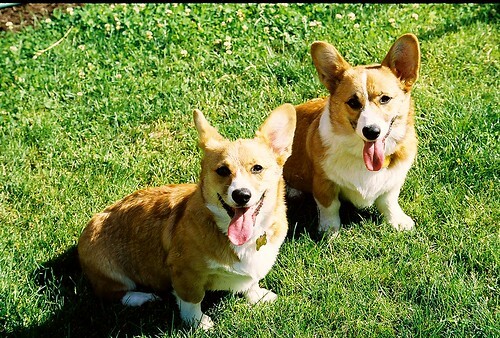 Sadie and Josie are the two Welsh Pembroke Corgis that occupy my house, the yard and the neighborhood, when they escape out the front door. Too cute and sweet, these darling little sisters are one year and three months old. They are truly sisters to my only daughter. They can be a bit snippy with one another, and terribly jealous of my time and attention. But all in all they fill up our home with warmth, noise and a bit of hair -- nothing a good brushing and vaccuming won't take care of!